Proud to be a new member of NPFDA! The team at Industrial Fleet Management (IFM) is very proud to be a new member of NPFDA! Since 1973 IFM has helped clients significantly reduce the cost to operate their truck fleets. IFM has many relationships spanning decades with clients in the food manufacturing and distribution industries. How your full service lease rates stack up to other similar fleets. If you are overpaying for fuel. Whether your fleet and fuel bills contain errors and overcharges that can be recovered. If your full service lease contract properly protects your company's interests. How you can reduce your equipment costs without changing vendors or reducing service levels. Receive a comprehensive, risk free analysis of your fleet along with specific cost savings recommendations. There is no upfront cost. IFM is only compensated based on actual savings implemented and realized. 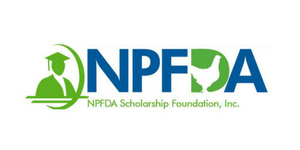 IFM's shared savings percentage is discounted for all NPFDA members. Please see the attached brief overview which includes a few client testimonials from your industry. To learn more, please contact IFM’s NPFDA member contact Ryan Hayes @ 603-264-4525, rhayes@industrialfleet.com, or visit www.industrialfleet.com. Click Here for more information about IFM and how they can save you money! !